Vote Now – Ballots are in the Store! Valued Yelm Food Coop Members! If you missed the Annual Member Meeting on Saturday, Sept 23rd, you can still vote for the 2 Directors standing for election this year: Debbie Lusk and Judy Scott. You must be either an original YFC member or be a current new YFC member. We are required by State law to have a board of directors and by our bylaws to have a minimum of 5. Voting this year will ensure that we meet our requirements – no Board, no Co-op! These people have a variety of responsibilities among others are ensuring that everything the co-op management does is legal, adheres to the mission statement and is financially sound. These directors are elected by the members – that be YOU! – on an annual basis depending on their term lengths. This year, for example, only 2 of the 5 Directors are up for election. But, we need them to be legally elected so that we have the 5 minimum required by our bylaws. 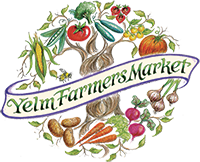 Ballots are available at the Yelm Food Co-op until October 21st or until we reach a quorum. Ask a cashier to help you. Your Voice and Your Vote Matters !